The town of Newtown is located in Fairfield County in the southwestern portion of the state. Settled from the town of Stratford and incorporated in 1711, Newtown was originally a stronghold for Tory sentiment during the Revolutionary War. Although primarily a farming community, Newtown saw local industry flourish in the 19th century and factories in town produced various items including buttons, combs, folding boxes, and fire hoses. The town was also the site of mica and feldspar mines. Industry declined during the 20th century, and Newtown became a residential community that retains its rural nature today. “Newtown Historical Society,” 2017. Link. “The Matthew Curtiss House.” Newtown Historical Society, 2016. Link. “Map - Town of Newtown, Fairfield Co., Conn. (Petersen Collection).” Newtown, CT, ca 1868. University of Connecticut Libraries - Map and Geographic Information Center - MAGIC. Link. Beers, D.G. “Map: Bi-Centennial Map of the Town of Newtown, Connecticut Published Under the Direction of the Bi-Centennial Committee.” The Bi-Centennial Committee, 1905. Link. “The Adams Family Collection.” Newtown Historical Society, 2017. Link. Cruson, Daniel. A Mosaic of Newtown History. Newtown, CT: Newtown Tercentennial Commissin for the Newtown Historical Society, 2005. Cruson, Daniel. Legendary Locals of Newtown, Connecticut. Charleston, SC: Legendary Locals, 2013. Cruson, Daniel. Newtown. Dover, NH: Arcadia, 1997. Cruson, Daniel. Newtown 1900-1960. Charleston, SC: Arcadia, 2002. Cruson, Daniel. 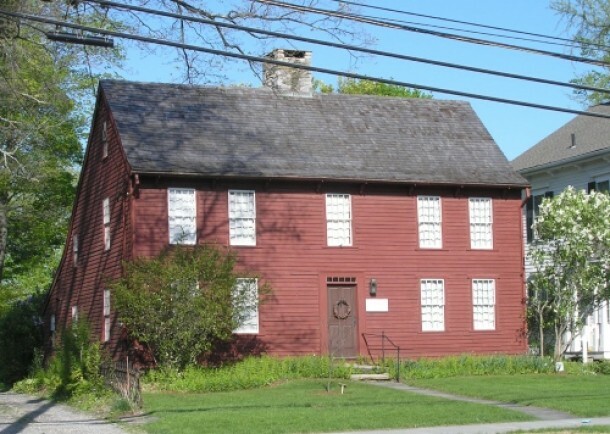 Newtown’s Slaves: A Case Study in Early Connecticut Rural Black History. Newtown, CT: Newtown Historical Soicety, 1994.